Attention Bay Areans! On May 12, come hear me and two icons of punk rock feminism dreams come true, Alice Bag and Allison Wolfe, speak/read/perform at Stanford University. Free lunch! The next day, Alice and I will be at Studio Grand in Oakland with the phenomenal feminists of Frightwig. The event is free and open to the public, and a catered lunch will be served. A trio of punk feminist pioneers – a musician/songwriter, a musician/author and an award-winning journalist and author – visit Stanford for a performance panel of music, spoken word and commentary revealing the roots of the punk feminist movement and asserting its relevance today. The “Riot Grrrl” movement took off in the Seattle/Olympia Washington area in the early 1990s and Allison Wolfe of Bratmobile was there. A decade and a half earlier, Alicia Velasquez, a.k.a. Alice Bag, fronted the seminal East L.A. punk band The Bags. 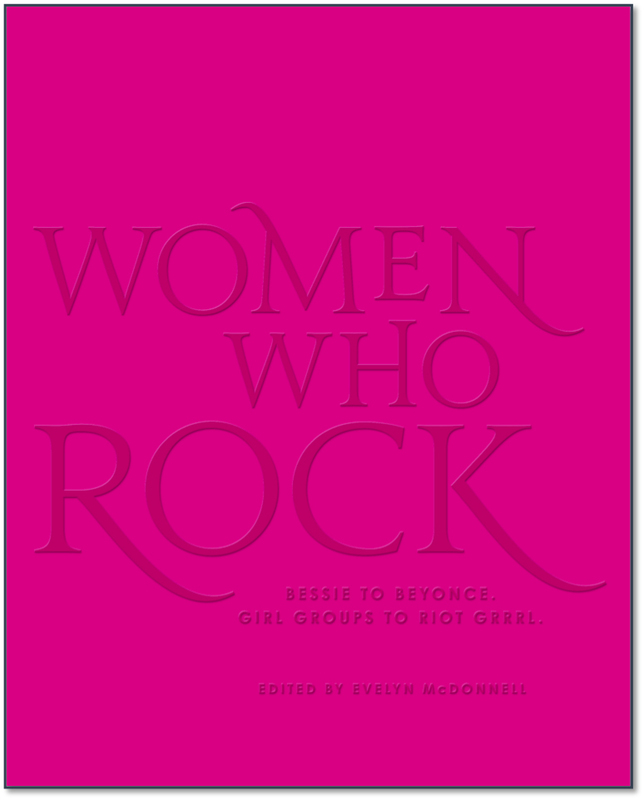 Veteran journalist and author Evelyn McDonnell has witnessed all the important alternative and underground scenes in which women have played key roles during the last three decades. Between the three of them there is deep knowledge of Chicana punk, the Los Angeles “new music” scene of the late 1970s and early 1980s, the trials and tribulations of women in the music industry (McDonnell’s recent book tells the story of the 1970s “girl band” The Runaways), and a generation’s worth of feminist cultural production. 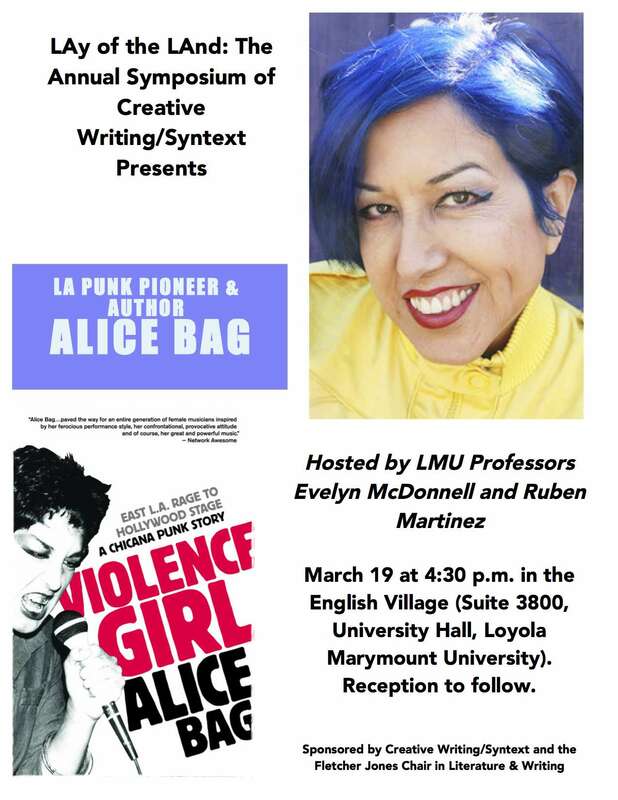 On March 19, Ruben Martinez and I will be presenting Alice Bag at LMU!